Bob Huggins goes off, and a few days later West Virginia wins. Kansas has an unprecedented Jekyll-and-Hyde thing working right now. And the travails in Stillwater continue. We go through it all in this week’s Big 12 Basketball Good, Bad and Ugly. HUGGY GETS HUFFY AND THE MOUNTAINEERS WIN. COINCIDENCE? Wednesday night’s game with Iowa State became a laugher for the Mountaineers, as they fell, 93-68. But before the Mountaineers left Ames, head coach Bob Huggins had some parting words for the officials. He didn’t spare his words after the loss, either. 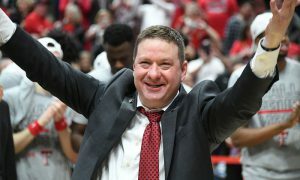 But remember what happened the last time the Mountaineers went on the road, were demoralized and Huggins looked broken? That was against TCU a few weeks ago. I covered that game. 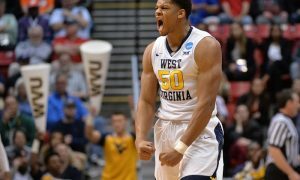 The Mountaineers followed that loss with a win over Kansas in Morgantown. So what happened on Saturday? The Mountaineers beat Oklahoma, 79-71. Coincidence? Maybe. But the Mountaineers had two players with double-doubles, Huggins finally put Derek Culver (he was one of those double-doubles) in the starting lineup and Brandon Knapper had a huge game off the bench. Whether he was actively trying to rally the troops or not, it looks like Huggins did it. And we got some classic Huggins in the process. If Baylor isn’t ranked when the new Top 25 comes out on Monday then I don’t know what’s going on (same for Kansas State, too). The Bears are playing the best basketball of anyone in the conference right now and they treated their fans to a pair of absolute blowouts last week. First, the Bears went to Oklahoma and destroyed the Sooners, 77-47. In doing so the Bears outrebounded the Big 12’s team leader in rebounds per game. Then, on Saturday, the Bears hosted TCU and just decimated the Horned Frogs, 90-64, behind Makai Mason’s incredible 40-point game. The Bears have now won six straight and seven of their last eight. Texas has the unenviable task of trying to cool off the Bears on Wednesday. And if the Longhorns can’t, then it’s up to Kansas State next Saturday, a game that I’m thinking I need to be at now. The Jayhawks took some frustration out on Texas Tech on Saturday, winning 79-63 in a nationally-televised game on CBS. If you want to win the Big 12 regular-season title, the path has to go through Lawrence, Kan., and no Big 12 team does a better job of protecting its home floor than the Jayhawks. Kansas is a perfect 13-0 at home this season, and a great home record for the Jayhawks isn’t unusual. In their previous five seasons the Jayhawks have lost six home games — and four of those game last year in an uncharacteristic season that saw them lose two Big 12 games at home. One of those games was to Texas Tech. So, yeah, if you’re going to win the regular-season title in this league, you have to do the near-impossible. 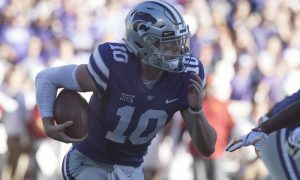 Just a quick note — Tuesday night is the biggest night of the season to this point, as Kansas State hosts Kansas in a Sunflower State showdown with massive Big 12 regular-season title implications. The Wildcats have a share of the Big 12 lead with Baylor and the Jayhawks are one game behind. This is the best Kansas State team that Bruce Weber has had and the whole unit Is healthy. The ‘Octagon of Doom,’ or Bramlage Coliseum, will be rocking. You should watch, if you can’t be there. Iowa State is built to stay in this Big 12 race. The fact that the Cyclones have a season split with the Kansas Jayhawks helps. But the fact that they took care of business at home this week is even more helpful. Games against West Virginia and Texas could have been trap games for this young team. But they won both to hold serve and remain one game back of both Baylor and Kansas State. Lindell Wigginton had his biggest game of the season to this point (28 points off the bench against West Virginia) and four players hit double figures, including forward Cameron Lard, against Texas. Iowa State still has opportunities to influence this race. The Cyclones have rematches with Baylor and K-State (both teams they lost to the first time around) and a rematch with Texas Tech in Ames to end the season. This is another ‘Take Care of Business’ week ahead for the Cyclones, as they travel to Oklahoma and host TCU. If they’re the contender that I think they are, the Cyclones need to win both games. Kansas State only played one game last week, but forward Dean Wade made the wait worth it. He scored 24 points against Oklahoma State. But it’s how he did it — 9-for-9 from the floor, including with 3-for-3 from the 3-point line. Perfection from the field is hard to come by, especially when you shoot as much as Wade does. But he went 3-of-6 from the foul line. What three more made free throws would have killed the guy? But seriously, a great game by one of K-State’s best players. As good as the Jayhawks have been at home this season (undefeated), they have not been good at all on the road (1-5). That includes league losses at Iowa State, at West Virginia and at Texas. To put that in perspective the Jayhawks were 6-3 in Big 12 games on the road a year ago, and the Jayhawks were the only team in league play with a road record of .500 or better. So they’ve already matched their league road loss total of a year ago, and a road game looms at Kansas State on Tuesday. 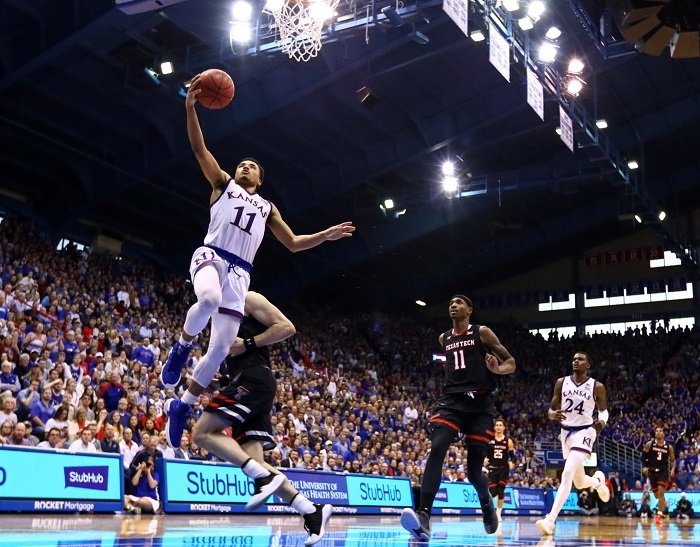 I just wrote that the road to the Big 12 regular-season title goes through Lawrence, and that’s because the Jayhawks are so capable of holding serve at home. But on the road they’re vulnerable, and the more vulnerable Kansas becomes away from Allen Fieldhouse the harder it could be to repeat. 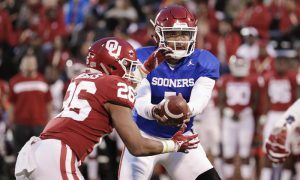 The Oklahoma Sooners are starting to play the way I thought they would play this season, and that isn’t good news. 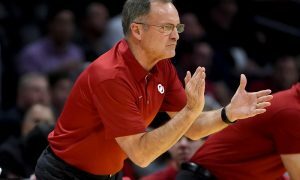 The Sooners have now lost four of their last six games and their overall shooting is to blame, or at least that’s how head coach Lon Kruger sees it. In the Sooners’ two losses this week they shot 27.3 percent and scored 44 points against Baylor and then shot 42 percent against West Virginia. But it’s not just shooting. The Sooners — who entered last week as the league’s best rebounding team — were outrebounded soundly in both games. Plus, there’s just a lack of consistency with this team right now. In a month they’ve gone from a ranked team and a NCAA Tournament lock to an unranked team that, to me, is encroaching on the Tournament bubble. The Sooners need to stop the bleeding. The question is how when you have a week ahead against two ranked teams (Iowa State and Texas Tech). An odd week for both teams with “Texas” in their name. 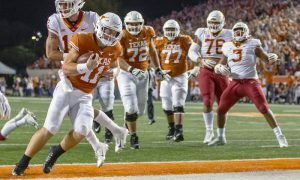 The Longhorns started the week with a big home win over Kansas, a win that could have set them on the path to some consistency. But, alas, on Saturday, that ended in Ames, Iowa, when the Longhorns lost to Iowa State by 5. Texas hasn’t won two games in a row since winning its first two games of Big 12 play. Until they do, they’ll likely remain on the NCAA Tournament bubble. Texas Tech isn’t on the bubble, but the Red Raiders seemed a little wonky right now. Early last week the Red Raiders emphatically ended their three-game Big 12 losing streak by beating TCU. But, they went to Kansas on Saturday and, while I didn’t expect the Red Raiders to win, I didn’t expect them to lose to Kansas by 16 points. Remember — Texas Tech beat Kansas in Lawrence last year. 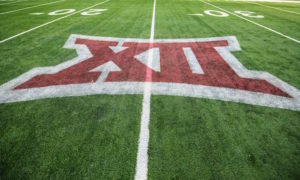 The stretch ahead is one that could allow the Red Raiders to rebound — West Virginia, at Oklahoma and at Oklahoma State. All three games are winnable and could set the Red Raiders straight. Kansas learned this week that forward Silvio De Sousa would not be returning this season due to an NCAA suspension. What’s more, he’s barred from playing in the 2019-20 season as well. He’ll miss a grand total of up to 80 games, assuming he even wants to come back to college basketball after this. The summary? De Sousa’s guardian received a $2,500 cash payment from an agent and Kansas booster. There was also agreement for $20,000 more of payments from that agent and Adidas to secure De Sousa’s enrollment at Kansas. To this point, there is no evidence that De Sousa knew of the payment or directly benefited from it in any way. NCAA suspensions for coaches so far: 0 days. And then Kansas athletic director Jeff Long really took the NCAA to task over this. Read the transcript. It’s interesting reading. To me, if a player is involved in taking cash from a booster or an agent during the recruiting process, he or she should, most assuredly, pay for that. But if indeed De Sousa didn’t know anything about this, then it should be the school that should be held accountable, not the player. But too often it’s the player that pays. Until the NCAA starts dealing out punishment that makes actual logical sense, this game will continue to have to deal with the unseemly characters that have emerged in this FBI probe. It just seems the NCAA doesn’t have the tools necessary to handle any of this. Oklahoma State had a week off after the Big 12-SEC Challenge and, well, their re-entry into Big 12 play didn’t go well. Kansas State had a 43-27 lead on the Cowboys at halftime in Gallagher-Iba in Stillwater and went on to a relatively easy 75-57 win. The Cowboys actually shot well in this game — 40 percent from the floor and 55 percent from 3. But the Cowboys only got to the line nine times (and shot 22 percent to boot), grabbed only 26 rebounds and did not play good defense. The Cowboys are operating at a talent and depth-deficit right now, and there is little head coach Mike Boynton can do about it right now. It’s a race to see if the Cowboys or the Mountaineers will occupy the last stop in the Big 12 standings by season’s end. TCU lost by 19 points to Texas Tech and by 26 points to Baylor. That’s as bad as it gets in the Big 12. The Horned Frogs are basically a .500 team in Big 12 action and if this keeps up they may turn into a bubble team when it comes to the NCAA. Injuries and transfer portal declarations have robbed the Horned Frogs of the depth they thought they would have going into the season. Head coach Jamie Dixon has a tough road ahead for him. 20-point games: Ochai Agbaji, Kansas, 24 (vs. Texas, Jan. 29); Devon Dotson, Kansas, 20 (vs. Texas Tech, Feb. 2); Brandon Knapper, West Virginia, 25 (vs. Oklahoma, Feb. 2); Dedric Lawson, Kansas, 25 (vs. Texas Tech, Feb. 2); Makai Mason, Baylor, 40 (vs. TCU, Feb. 2); Dean Wade, Kansas State, 24 (vs. Oklahoma State, Feb. 2); Lamont West, West Virginia, 24 (vs. Iowa State, Jan. 30); Lindell Wigginton, Iowa State, 28 (vs. West Virginia, Jan. 30). 10-rebound games: Ochai Agbaji, Kansas, 10 (vs. Texas Tech, Feb. 2); Esa Ahmad, West Virginia, 13 (vs. Oklahoma, Feb. 2); Derek Culver, West Virginia, 14 (vs. Oklahoma, Feb. 2); Kristian Doolittle, Oklahoma, 12 (vs. West Virginia, Feb. 2); Dedric Lawson, Kansas, 10 (vs. Texas Tech, Feb. 2); Tariq Owens, Texas Tech, 10 (vs. Kansas, Feb. 2); Kevin Samuel, TCU, 12 (vs. Texas Tech, Jan. 28); Mark Vital, Baylor, 11 (vs. Oklahoma, Jan. 28). 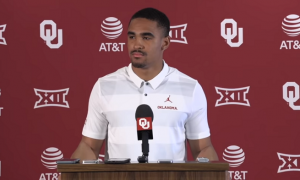 5-assist games: Jamal Bieniemy, Oklahoma, 6 (vs. Baylor, Jan. 28), 5 (vs. West Virginia, Feb. 2); Jared Butler, Baylor, 5 (vs. TCU, Jan. 28); Matt Coleman III, Texas, 5 (vs. Iowa State, Feb. 2); Jermaine Haley, West Virginia, 5 (vs. Iowa State, Jan. 30); Tyrese Halliburton, Iowa State, 5 (vs. West Virginia, Jan. 30); Isaac Likekele, Oklahoma State, 7 (vs. Kansas State, Feb. 2); Matt Mooney, Texas Tech, 5 (vs. TCU, Jan. 28); Charlie Moore, Kansas, 6 (vs. Texas Tech, Feb. 2); Alex Robinson, TCU, 6 (vs. Baylor, Feb. 2). 4-steal games: Matthew Mayer, Baylor, 4 (vs. Oklahoma, Jan. 28); Nick Weiler-Babb, Iowa State, 4 (vs. West Virginia, Jan. 31). Double-doubles: Ochai Agbaji, Kansas, 10 points, 10 rebounds (vs. Texas Tech, Feb. 2); Esa Ahmad, West Virginia, 12 points, 13 rebounds (vs. Oklahoma, Feb. 2); Derek Culver, West Virginia, 13 points, 14 rebounds (vs. Oklahoma, Feb. 2); Dedric Lawson, Kansas, 25 points, 10 rebounds (vs. Texas Tech, Feb. 2); Tariq Owens, Texas Tech, 12 points, 10 rebounds (vs. Kansas, Feb. 2); Kevin Samuel, TCU, 10 points, 12 rebounds (vs. Texas Tech, Jan. 28).